Land Ownership – Who Owns Your Home? The following blog post I completed a couple of years ago, it has been updated but most of the information with some minor corrections is still applicable. Apologies for odd formatting, try as I might I can’t correct it. In this environment of increasing inequality when the social divide between the haves and the have-nots increases alarmingly you may find the following quite eye opening. Here are some interesting facts about land ownership in the UK. Facts which may well surprise you concerning land distribution. * The UK has 60 million acres of land in total. * Just 6,000 or so landowners — mostly aristocrats, but also large institutions and the Crown — own about 40 million acres, two thirds of the UK. * Britain’s top 20 landowning families have bought or inherited an area big enough to swallow up the entire counties of Kent, Essex and Bedfordshire, with more to spare. * Each home pays £550/ann. on average in council tax while each landowning home receives £12,169/ann. in subsidies. The poor subsidising the super rich. In Ireland where land redistribution occurred, there is no council tax. 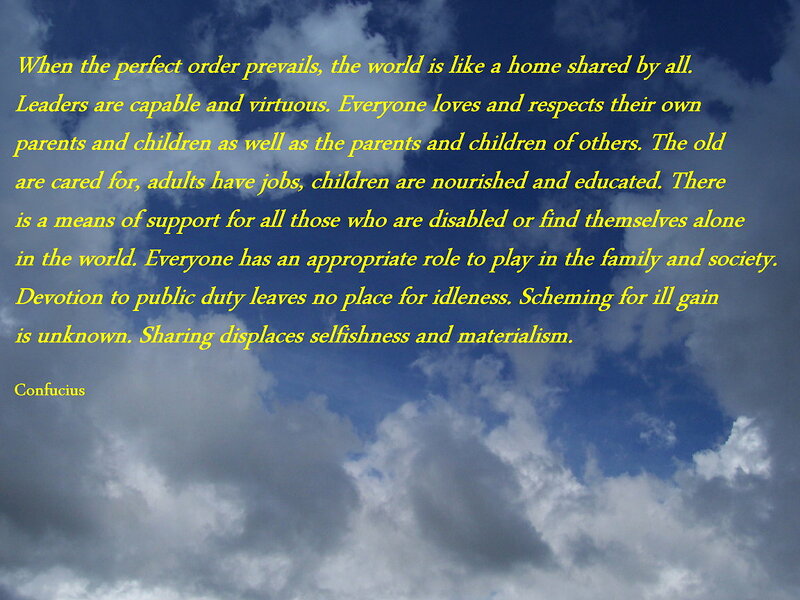 * A building plot, the land, now constitutes between half to two- thirds of the cost of a new house. http://myweb.tiscali.co.uk/watercity/LandArticle.html I have included this link as it is the source of the statistics above, however I am not entirely in agreement with all of ideas expressed therein, particularly concerning the use of green belt land for house building. Please note: These are old statistics above concerning council tax which is now around £1000 plus annually for band A, – prices vary according to each council. According to the following article some of the most affluent areas pay less council tax than people living in poorer areas. William’s 22nd great-granddaughter, who today sits on the throne, is still the legal owner of the whole of England. Even your house, if you’ve been able to afford one, is technically hers. You’re a tenant, and the price of your tenancy is your loyalty to the crown. I didn’t know that and I doubt if many other people do. Time for change towards a more modern society, time to ditch this unfair nonsense initiated in times past. Not only is it idiotic it is a social injustice that has no place in a modern society. The UK is a socially regressive country beyond our imagination. I once thought that this was among the most fair and free countries in the world, at least within the framework of the times in which we live or should I say lived. Rather than progressing towards a fairer distribution of wealth we are regressing backwards. People think that socialism or communism is not desirable because they will own nothing. Well we own nothing now! You are just a tenet! You own nothing with the exception of your personal property unless you are in debt of course than you own nothing! While the monarch’s ownership of our property may seem a technically it exists nonetheless. Also note that 95% of the Yorkshire Dales National Park is owned by private landowners. National Park Authority owns less than four per cent of land in the Lake District. The rest is owned by organisations such as the National Trust, United Utilities, Forestry Commission and other private landowners. The world is in turmoil, the rise of right-wing political agendas, rampant racism, bigotry, anti-Muslim, anti-Semitism, anti-migrants, anti-refugees, homophobia, sexism … I have I missed anything, it seems that everyone hates everyone else. Many people feel lonely and isolated. 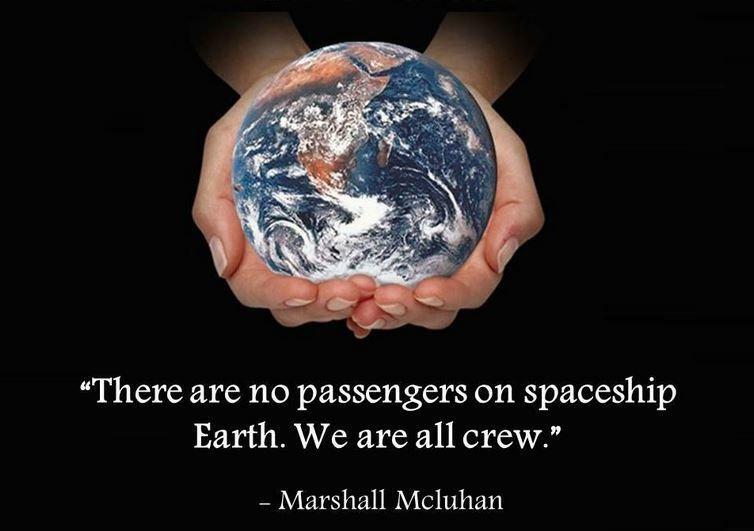 Most of us want a better world though it might not seem that way. We feel lost not knowing what to do. Petitions seem ignored. Letters and e-mail to government officials may receive a polite response but are rarely acted upon. Demonstrations are a sensation for a day or two than fade away and become just a memory. We get on with what lives we struggle to make for ourselves, our children and those we care about while the onslaught of social injustice goes on. Achievements in human rights and equality swept under the carpet, freedoms won after hard campaigns disappear into the annals of history. And it not just about humans either, the fight to procure rights for animals, improve welfare have become more difficult to achieve and we are taking steps backwards, particularly in the USA where animal welfare is threatened by Trump’s presidency. The environment: all the gains to secure environmental protections to save the planet for future generations and the other creatures with whom we share this world are under threat. As is the abandonment and active undoing of all the efforts to thwart climate change in recent years. It not only the big issues that effect the majority it is the small issues also, which are of course important to those they affect. It seems Trump seeks to undo every positive, fair, and just social progress made during Obama’s time in office. In his pettiness Trump even seeks to over turn Obama guidelines on transgender toilets. Absolutely pathetic, backward thinking and shows that Trump’s commitment to protect LGBT rights was just empty promise. No doubt about it, the world is undergoing drastic change and none of it for the better and without the consensus of the majority. What we can do? Can we really make a difference? Do all the petitions, letters/e-mails/ phone calls to government representatives and others really bring about change? What about demonstrations, how effective are these? How about Twitter, Facebook, blogs and other social media? If nothing else social media keeps us informed: the significance of what is unfolding in the world today would have been far less apparent a couple of decades ago. The strength of feeling and solidarity on social media is supportive and the information disseminated extremely useful in the quest to bring about change. Even Trump’s compulsions to Tweet gives us first hand an insight into this person that would otherwise not be available. So yes! most certainly we can bring about change, after all said and done everyone who cast his or her vote in the USA elections and indeed any elections including the disastrous Brixit referendum here in the UK made a difference, not a good one of course in the above examples, but a difference nonetheless. Now it is up to us, if each of us is capable of making a negative difference we can certainly make a positive one even if in only a very small way, and as with votes every action counts. Maybe if more democrats came out to vote for Hillary Clinton, Trump would not be president. If more people had familiarised themselves on all the issues in an election or a referendum instead of voting on one issue and a negative one at that, such as immigration or blatant racism, than Trump may never have been elected and we might still be a member of the EU. While it may all seem overwhelming and we can feel powerless against the onslaught I consider that the following actions make a difference, maybe not in the immediate future or in the way we would expect, but every action however small helps to bring about change. Gandhi’s Salt March across India in 1930 was instrumental in bringing about Independence from British Rule. The Salt March was was a notable example of resistance, and one which was non-violent, that had a significant impact. March on Washington for Jobs and Freedom on 28th Auguest 1963 , was another example of a peaceful demonstration that brought about change. It was one of the largest Political rallies for human rights in American history. More than 200,000 people participated in the March for Jobs and Freedom in the USA’S capital. During this event, Martin Luther King delivered his famous speech ‘‘I Have a Dream’’ . The article below cites ten further examples of demonstrations that had a huge impact and brought about significant changes worldwide. So yes demonstrations can make a difference and often without recourse to violence. Social media has enormous potential to galvanise action and is the best way to disseminate information fast. News spreads quickly and often news of events and campaigns about which most of us prior to the internet would have been ignorant. Concerning animal welfare and animal rights, before the internet unless you were a member of an activist group you would most likely not know about the vast number of atrocities which are perpetrated on animals let alone take action to stop them. Below are hints and tips how to use Facebook for exposing the cruelty of factory farming and promoting vegan eating. Lets not forget the Gadhimi festival now banned as a result of global outrage galvanised by social media. Animal rights campaigners will recall the struggle to being to an end the barbaric Gadhimi Festival of animal slaughter where, demonstrations, petitions and social media all played a role in its cessation. There are just so many groups campaigning to being about change it is of course not possible to list them all. The small selection below concerns ideas to bring about change including but not exclusively the current situation concerning the election of Donald Trump as this is an immediate threat to us all worldwide including animals and the very earth itself. There are a lot of ideas below for action you may take, no one could take them all most certainly I have not. But different people are better suited to different types of actions. For instance not all of us are able to demonstrate but may be able to sign a petition, post a tweet, send an e-mail and so on. Petitions. A good place to find Petitions relating Trump and so many other issues is Care 2 a community of 38 million people standing together for good. Two petitions you might like to sign today. President Donald Trump is trying to overturn one of the biggest environmental victories of the past 5 years by approving the Keystone XL pipeline. Featuring Naomi Klein, Jeremy Scahill, Keeanga-Yamahtta Taylor, Anand Gopal, and Owen Jones on resisting Trump’s agenda and building the future we need. Read More: http://www.trueactivist.com/10-ways-to-make-positive-change-in-the-world/ – This information focuses on general ways to make an all round difference. The next link targets Trump’s presidency and suggested action you can take if you live in the USA to bring about change to the current situation. “We have four long years of President Trump ahead of us. For anyone who is concerned about the nomination of a far-right conservative to the Supreme Court or the embattled travel ban, four years feels like a lifetime. Ideas include Flippable – a campaign to “flip” Republican-controlled states by zeroing in on local races where a Democrat has the potential to win an upcoming election. Here are ideas for actions you can take, some of which could be adapted to fit any cause. The following is a list of resources that either recommend or discuss concrete actions citizens can take against President Donald Trump. The last concerns a mass march here in the UK. Donald Trump’s presidency is turning out to be every bit as dangerous and divisive as we feared. The rhetoric of his campaign, and his early executive orders, have sparked a wave of fear and hatred. Those who are often already marginalised and discriminated against – particularly Muslims – have been particular targets for Trump. For instance writing to politicians in your country if it is a national matter or the respective politicians regarding international issues.Don’t be hesitant when writing to politicians of other nations. I have written to politicians in Australia, China, Canada, Nepal, and of course here in the UK. Also the Dali Lama concerning self immolation in Tibet. Ministers of the Nepalese government concerning the Gadhimi festival. CEOs of various corporations mostly food producers about animal welfare. Also retailers including Aldi’s about the sale of reindeer meat, Tesco about the workfare scheme, I even sent my points card back as a form of protest. I have written to the American Psychiatric Association concerning the DSM. Universities about animal testing. Write to anyone who is associated with whatever you are campaigning for or against. It’s best to always be polite. Yes you get replies. I recall a reply from a Canadian government official concerning the seal hunt, he did not agree with me and explained his position which I did not agree with but at least what I wrote provoked him to reply. The same with Aldi who replied concerning reindeer meat, again not favourable but who knows such communications might make someone think. Retailers often reply, I had lots of letters and e-mail in reponse to my communications concerning the many campaigns to ask retailers to stop the sale of Angora and many retailers have stop selling this product of cruelty as a result of a PETA led campaign which at the time of writing continues today. Postal letters get the best response, e-mail being the next. My MP responds to everything. Even if the person cannot agree you just never know maybe you have at least made him or her think. Please Help Save The Lives of Defenceless Hibernating Bears, Wolves and their Families. Can you really believe this, there are people who enjoy killing hibernating bears and their cubs and wolves raising their pups in dens? Even more shocking, the House of Representatives has just voted for a resolution which will allow them to do so. If the resolution becomes law, hunters will be allowed to enter the dens of these defenceless animals and their families and kill them. Unfortunately 225 voted in favour of the resolution with 193 against. For the majority of decent caring people this is shocking. Please help save the lives of these defenceless creatures who will die for the pleasure of a tiny sadistic minority who delight in killing helpless animals. Please sign and share the following petition. Keep the Ban on Hunting Hibernating Bear & Wolf Families! “The House of Representatives just voted to allow hunters to kill bears hibernating with their young. If their decision passes into law, hunters will be allowed to enter dens where bears are hibernating and kill their entire families. They would also be allowed to shoot and kill wolf families, including their pups. Slaughtering entire families of hibernating bears is cowardly and inhumane. Bears pose no danger to humans or livestock when they’re sleeping through the winter. Culling wolf families is a short-sighted plan that will push their numbers toward extinction again. http://www.thepetitionsite.com/670/081/728/hunting-hibernating-animals-should-stay-illegal/?z00m=28894310 – Anyone world-wide may sign this petition. US citizens please contact your senators and ask them to vote against this resolution Only the U.S. Senate and President Trump can now stop this. The resolution is now before the Senate, where it must be passed and sent to President Trump for signature before it can take effect. So please write with your objections as soon as possible. Mother bears hibernating with their cubs and wolves raising pups in their dens may no longer be protected from a hunter’s rifle. Watch the video which is also included in the above article of a bear and her cubs. Bears just like this mother and her family will be mercilessly killed if this bill is passed. It seems to me that any and every positive advancement during Obama’s time in office is to be systematically destroyed seriously setting back society’s ethical progress. Now we know don’t we that the overwhelming majority of US citizens would not want this to be allowed by law: “a 2016 poll of Alaska voters showed that most agreed that these practices should be banned”. The fact that the House of representatives voted to allow this is therefore not democratic as it defies the wishes of the majority. They know this of course but instead prefer to favour the abhorrent wishes of a tiny section of society who should not be encouraged to carry out such shocking acts of violence against animals. Here in the UK we have a similar problem with the Tories hell-bent on repealing the fox hunting bill despite the fact that they know that the majority of UK citizens are opposed to fox hunting. How can we ever make any ethical progress and make the world a better more civilised place to live for all creatures when one government imposes a ban to protect animals from cruelty than another – usually right-wing – over turns it. Yes the majority who voted in support of the resolution where republicans, only 10 republicans voted against, and five Democrats who voted with the Republican majority. What kind of society are we living in when any government allows it citizens to wantonly kill helpless animals.The fact that this is even being consider is disturbing. It is bad enough that hunting is allowed to continue but this is even worse than hunting. What sane person enjoys killing sleeping animals? I am shocked that this is even being considered. I find it quite disturbing that there are people among us who find pleasure in killing defenceless animals, no wonder there is so much violence in this world. If you can kill a helpless animal, any animal, you are one step closer to killing a human being. Animals have a right to their lives as do you and I, when, as supposedly the most intelligent advanced species, are we ever going to respect that right. U.S. House sanctions killing hibernating bears, wolf pups in their dens on federal refuges in Alaska. Killing animals for sport, for pleasure, for adventure, and for hides and furs is a phenomena which is at once disgusting and distressing. There is no justification in indulging is such acts of brutality. 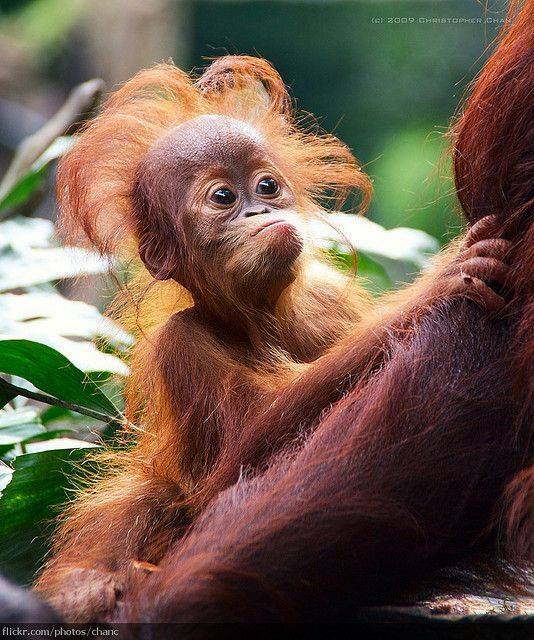 Help save Orangutans and other animals from extinction as a result of the irresponsible cultivation of palm oil. I am sure you are aware of the environmental damage as a result of the cultivation of palm oil, in particular the loss of habitat for many animals including Orangutans who in countries such as Sumatra are under threat of extinction as their forest home is being felled and turned into oil palm plantations on a massive scale. Below you will find more information and a number of suggested actions you can take. Please take as many as possible. Firstly please sign and share the following petitions. All are simple requiring few details and just a click to sign. Petition: Tell IOI to start protecting rainforests. Indonesia: right now. Picture huge fires in swathes of beautiful rainforest. Imagine people and animals struggling to see, struggling to breathe, as a thick haze spreads. During last year’s fires we forced big brands like Colgate to take rainforest destruction seriously – so we know that change is truly possible. Together we’re going to win again – we’re going to show this palm oil predator, IOI, that the world has had enough. Are you in? All the while, one palm oil company – called IOI – shrugs its shoulders and refuses to act, despite years of bulldozing rainforest and letting it burn. IOI is a faceless palm oil company that keeps a low-profile (they have 86 followers on Twitter!) because they count on people being totally uninterested in their bad behaviour to get away with it. IOI thrives on secrecy and it’s up to us to expose it. If thousands of us add our names to this petition, IOI will know that thousands of pairs of eyes are watching them and they won’t be able to hide their forest crimes any more. This petition is only the beginning; it’s part of a whole range of things we’re doing together across the world to challenge this company. Our investigators are already digging into IOI’s suppliers – finding yet more evidence of the company’s wrongdoing. The industry is already turning against IOI. Last year half a million of us from a whole host of countries exposed big brands with an embarrassing palm oil league table and a whopping worldwide petition. As a direct result dozens of brands stopped buying from IOI. But now we need to stop this company’s shocking practices for good. Fires are burning again in Indonesia and we cannot wait for IOI to change on their own. Please sign the petition now. Petition to Tell IOI to start protecting rainforests. “The habitats of iconic endangered species like tigers, orangutans, and rhinoceros are going up in flames, and being replaced with palm tree plantations. Please read more and sign and share the petition to tell the Indonesian government it’s time to end this madness. Ask President Joko Widodo and his environment & forestry minister Siti Nurbaya Baker to end these crimes against nature. http://therainforestsite.greatergood.com/clickToGive/trs/petition/Indonesian-Fires? –You will find more suggestions further down for actions you can take concerning palm oil and its disastrous effects on wildlife. The wholesale destruction of rainforests on Borneo for the palm oil plantations of Bumitama Gunajaya Agro (BGA) is threatening the survival of orangutans. BGA is a member of the RSPO – the organization issuing the label for supposedly “sustainable” palm oil. Please call for a stop to deforestation and an end to palm oil imports NOW! Please call for a stop to the destruction of Borneo’s rainforests and the unbridled expansion of oil palm plantations. “Indonesia is home to some of the most rich and biodiverse rainforest in the world. While palm oil is an ingredient of so many things you consume or use it can seem like a daunting task to cross it off your shopping list but try to avoid if an alternative exists or the product is not vital or failing that buy from manufacturers that use a sustainable source – more about sustainable palm oil further down. I think it may put people off if it is suggested to avoid palm oil entirely which may be virtually impossible and as such may make it seem like the situation is hopeless. Here is an example of a letter to Sainsbury’s which sell products produced by palm oil from sustainable sources and also palm oil from unstainable sources, – in other words grown on land from cleared rain forests, sources that result in deforestation, habitat degradation, climate change, animal cruelty and extinction. Sample Letter it is better if you edit and use your own words if possible. I have been buying your products for many years, and it has been a while since I checked out the ingredients. However recently as a result of worldwide concern over the use of palm oil I decided to once again look at the ingredients and was shocked to find that in many cases these ingredients include palm oil. Is your palm oil from a sustainable source? If it is it might be an idea to indicate this on the packet, if it isn’t please consider switching to a sustainable source or using another type of oil. I will only buy products if the palm oil comes from a sustainable forest. The more of us who write to retailers the better, let them know that you do not what palm oil in any of your products, public opinion can carry a lot of weight. The contact details of all retailers are available on their websites. Don’t forget to check with less well known retailers and don’t assume that if a product is vegan or vegetarian that this means that the palm oil that they invariably use is from a sustainable source. http://www.saynotopalmoil.com/Whats_the_issue.php – as you will read there are still problems with sustainable forest. 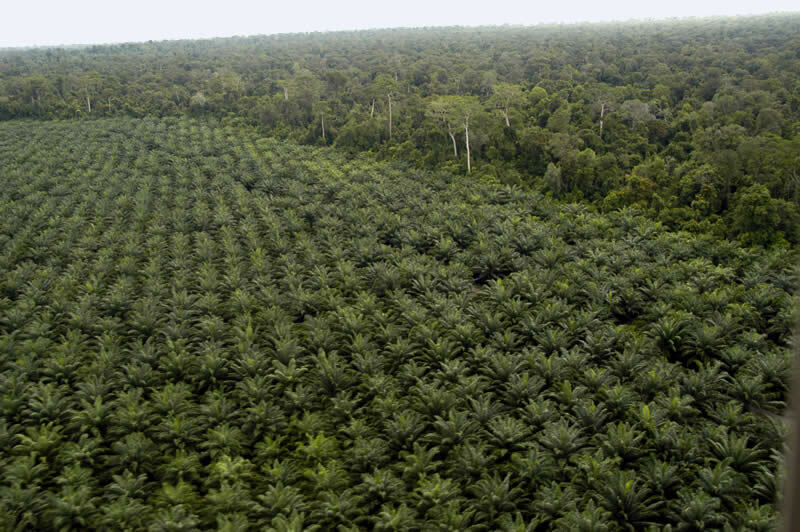 The best solution would be not to grow palm oil at all. Palm oil is here to stay for the indefinite future. The vast majority is consumed in countries in Asia and the Middle East where rainforest conservation is a low priority and consumer demand for sustainable products is negligible. If the American, European and Australian NGOs fighting to save the rainforests call for a boycott, then the companies that use palm will have no incentive to purchase it from sustainable sources. After all, why would companies spend more money on sustainable palm if the people who care about sustainability aren’t buying it? That is why many NGOs argue that demanding and buying responsible palm oil will, over time, protect the remaining forests more than boycotting it will. Here are a couple of lists of palm oil alternatives which many or may not be available in your country. When it doubt check with the manufacturer. 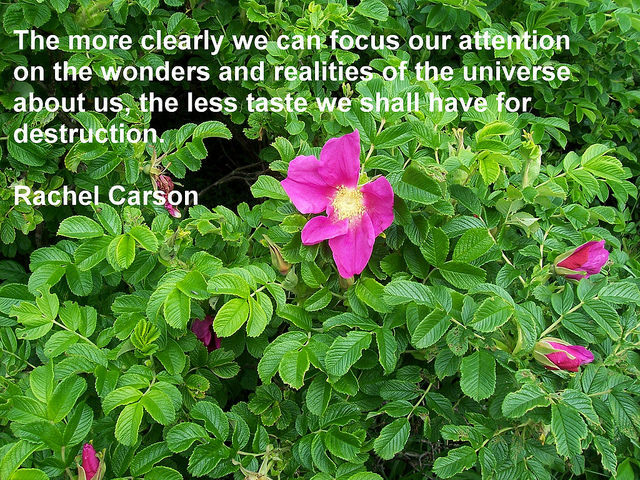 Since Rachel Carson wrote Silent Spring little has changed despite an increased awareness of the detrimental affect of human activity as the earth that sustains our lives and the lives of all beings becomes more and more contaminated, polluted, poisoned and uninhabitable all because of the insatiable greed of the few and their increasing obsession with profit at the expense of us all. The View From Outer Space – How Would Humans Appear Through Alien Eyes. 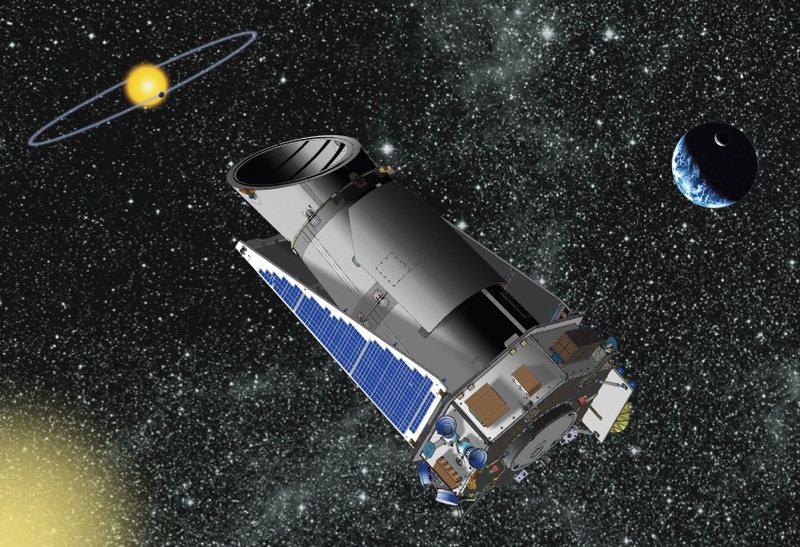 Has Nasa’s Kepler Telescope spotted signs of alien life? I hope that one day we have proof of the existence of extra terrestrial life. I also hope that whatever form this life takes it is an advanced intelligence not just technologically but ethically, in fact the main consideration for me would be their ethical progression which I hope would surpass ours – after all it couldn’t be much worse could it? Today while sorting through my e-mail I have the usual inundation of requests to take action on behalf of animals, including the human animal. The human species of course is responsible for most of the suffering here on this earth for those weaker than himself, even his own kind and most certainly the other species with whom we share this world. Sometimes it can get depressing, I mean really depressing and the world feels as though it is a realm from some kind of alternate reality, a kind of hell dimension. To my mind the world is a seething mass of suffering of innocent defenceless beings – including other humans – their only crime is that they are weaker than their oppressors, those who determine what happens in the world, those who determine and condone the crime of genocide of millions of living beings both human and non human. Yes I know the word genocide is a word that if used correctly can be applied only to humans but I am going to apply it to animals along with the word holocaust which Charles Patterson suggests is an appropriate word to describe our treatment of non human animals. In his book “Eternal Treblinka: Our Treatment of Animals and the Holocaust” he compares how the Nazis treated their victims with how our modern societies treat animals. The title is taken from Nobel Laureate Isaac Bashevis Singer’s now familiar quotation: “In relation to them, all people are Nazis; for the animals it is an eternal Treblinka.” The Holocaust and indeed the genocide of the animals is on going and is unlikely to end in the foreseeable future. Would the observer question why those who were opposed to such either didn’t speak out or were so few in number that when they did little changed.Would they wonder why the vast majority where oblivious or indifferent or never questioned the pervasive evil that befell those weaker than themselves. Would they wonder why humans never questioned that meat was not a natural diet or that it was wrong to exploit animals for entertainment including the barbaric pass-time of the so-called “sport” of hunting and shooting. Would they be astonished that some people felt that it was a right of freedom to murder helpless animals for sport or why humans thought it right to murder en masse millions of helpless people in the insane massacre of warfare in the relentless quest for wealth and power under the guise of justice, defence and even peace. Would a civilisation for whom warfare has been abolished from living memory or for whom such had never been part of their way of life be appalled at the numbers of people who have died during earth’s most recent conflicts let alone the untold millions who have died during these unrelenting periods of mass insanity since humans evolved. Over 60 million people were killed in WW11 about 3% of the 1940 worlds population 80 million of deaths from war-related disease and famine are included, it was the deadliest conflict in history. World War 1 resulted in the deaths of over 38 million casualties with over 17 million deaths and 20 million wounded. The slaughter continues relentlessly such as for example a result of intervention by the USA 10 to 15 million deaths during the Korean and Vietnam Wars and the two Iraq Wars – this is among the examples from 37 countries. Don’t forget of course the involvement of many of the USA’s allies including the UK which is always keen to intervene in conflicts, most notably in the middle east in recent years. How would a moral alien species view our brutal history of destruction and genocide that continues today unabated. They would surely be horrified by the events of brutality and violence in our past , Genghis Khan, the crusades, the inquisition, slavery, ethnic cleansing – the Genocide of the Native Americans Civilizations, the Australian aborigines and so on and on right to the present day with the death toll increasing with the use of ever more destructive weapons with the loss of millions of innocent lives including those of other species who of course get caught up in the insanity. Here is a list that includes many of the atrocities man has perpetrated against his fellow-man.